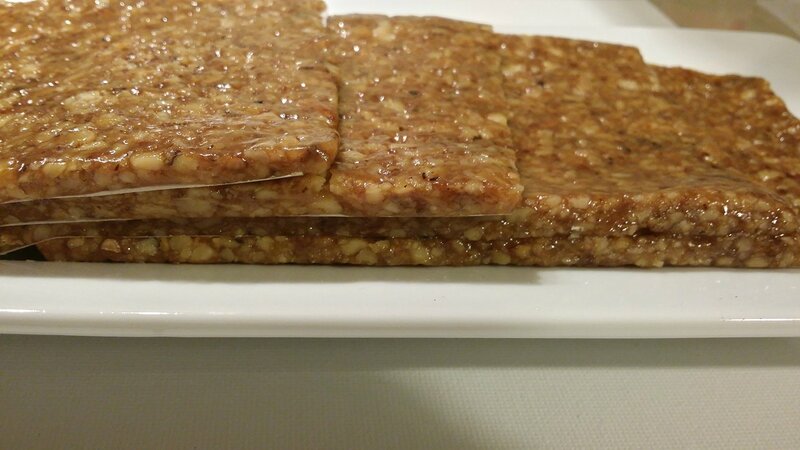 Category: Apple Roll Ups--washlis-tklapi, Fenovani xachapuri, Gozinaki (Kozinaki) Honey-Walnut Stiky Bars. 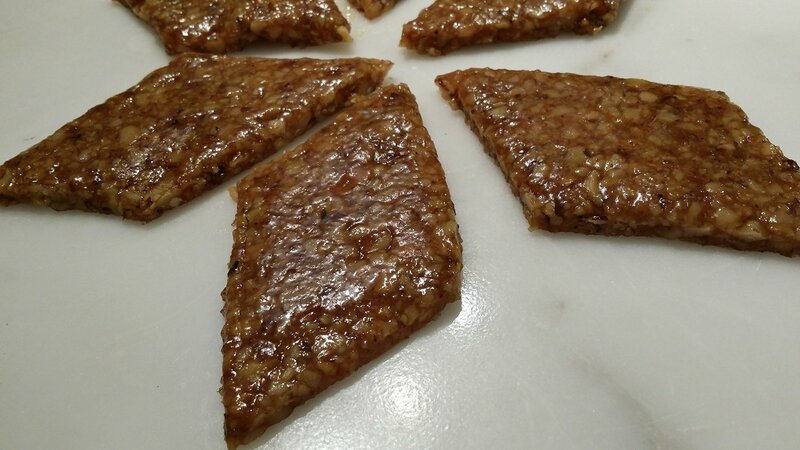 Tags: Gozinaki-(Kozinaki)-Honey-Walnut-Stiky-Bars. 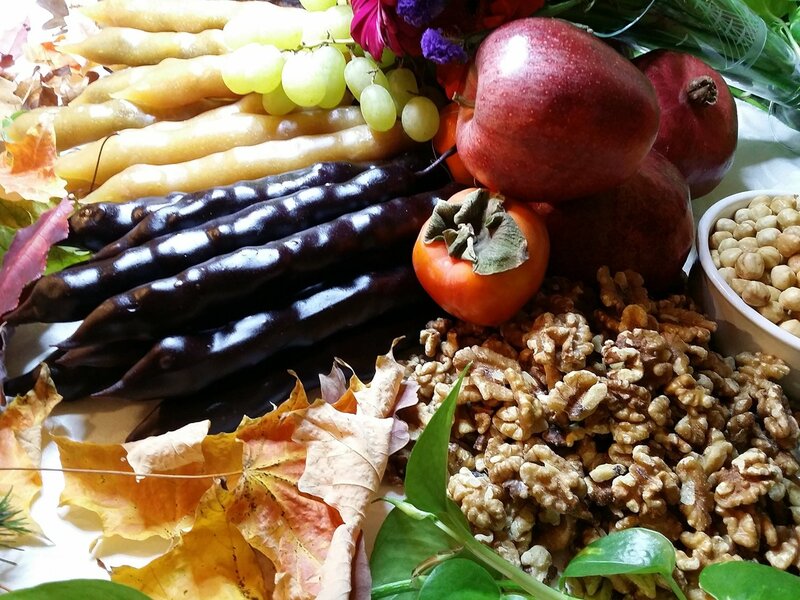 Traditional Georgian New Year’s Dish. 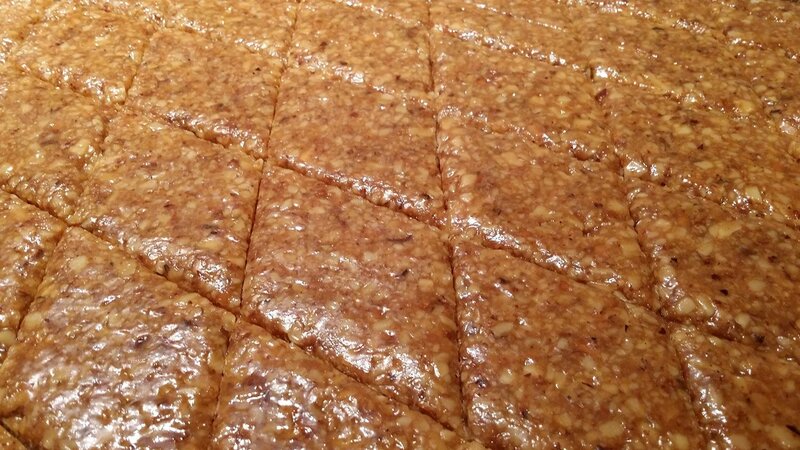 Gozinaki is also well known in Mediterranean regions, a dessert made with walnuts that are caramelized in honey. package contains 4 slices each 11.5cmX18.5cm of Gozinaki that you can cut as you like. Total weight 730 g.